This image of the Coast Guard Cutter Tamaroa was shot one year before it would sail into the vicious Halloween storm to save lives. A ship that once towed warships to safety during World War II and battled 40-foot waves to help rescue seven people in what was portrayed in the book and film "The Perfect Storm" is poised to be sunk off the New Jersey and Delaware coasts. 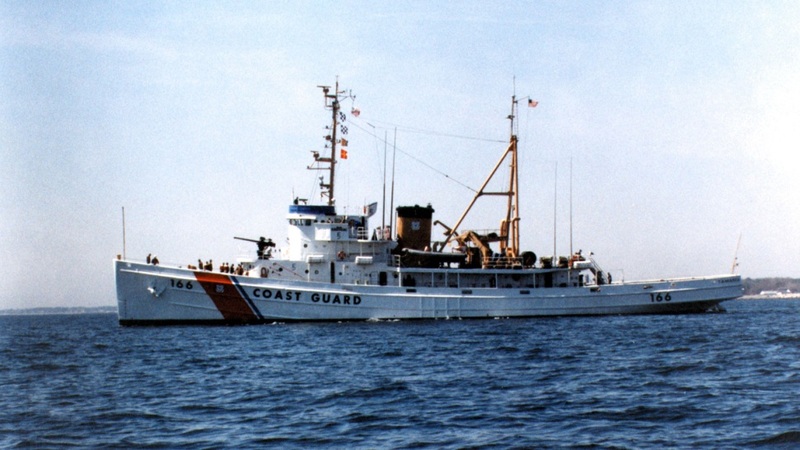 Officials tell The Record newspaper the Coast Guard vessel Tamaroa will help grow a reef near Cape May Point by drawing large game fish and boosting recreational fishing. The sinking is planned around Oct. 30, the 25th anniversary of the 1991 storm in which the Tamaroa helped rescue the crew of a sailboat and a downed Air National Guard helicopter near Massachusetts. Efforts to convert the ship into a museum and memorial ended in 2012 after its hull sprung a leak.